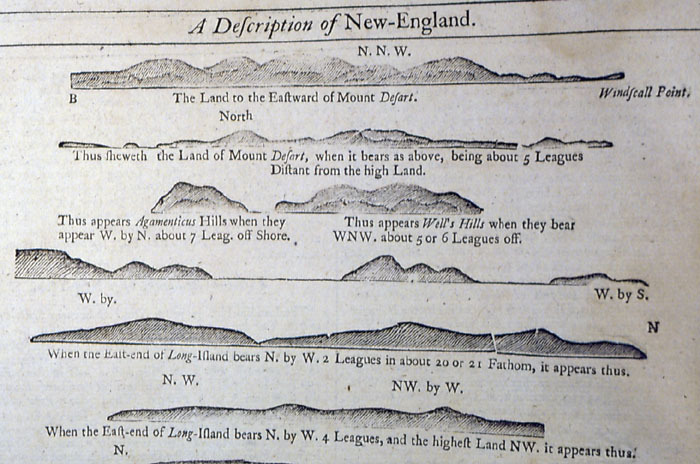 These recognition views of Mount Desert and other places along Maine's coast help navigators determine their location. These are from The English Pilot, Fourth Book, published in 1767. Online via Boston Public Library.